Industry experts have long speculated that the GTA’s high housing prices are the result of a lack of housing supply. But according to a new report, the potential solution to the problem starts with mid-density housing. Using Mississauga as a case study, the Ryerson City Building Institute found opportunities for the creation of 174,000 mid-density homes through the densification of the city’s existing low-density areas. If these homes were to be created — around transit stations, corridors, in existing neighbourhoods and under-utilized urban lots — the city would meet its 2041 growth projections for an additional 435,000 residents. The authors write that even more housing could be created through the densification of cities “Yellowbelts” — single detached residential neighbourhoods. “This intensification could take the form of low-rise apartments, multiplexes and accessory dwelling units such as laneway suites or side-yard suites,” they write. Currently, municipalities across the GTA have zoning rules that make it difficult to build up existing single detached neighbourhoods. 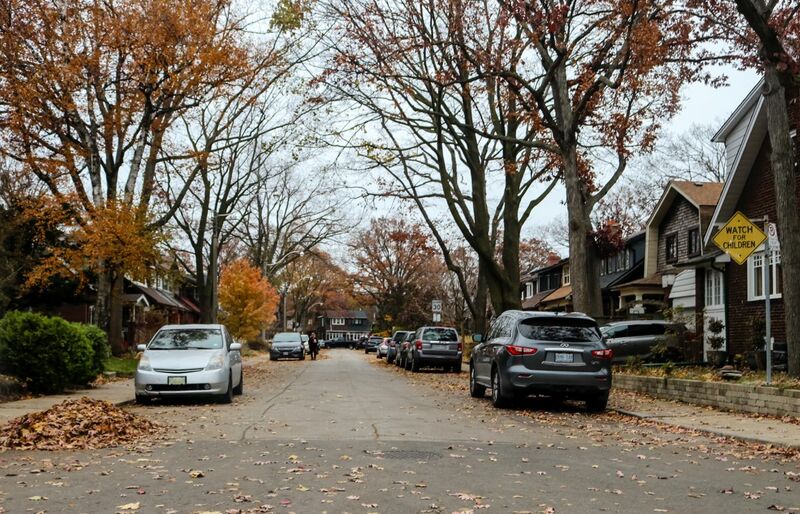 “Ultimately, the better way to get density in the GTA is to adjust zoning rules to allow for development in the area of low-rise homes, or ‘the Yellowbelt,’” Ryerson Centre for Urban Research and Land Development senior researcher Diana Petramala told Livabl earlier this year. Haines and Aird identify zoning, financing and approvals processes as areas municipalities will need to change in order to favour a greater supply of mid-density housing. “This must be done with care, as simply streamlining policies to build more housing supply anywhere and everywhere will only result in more [high and low density housing,]” they write.